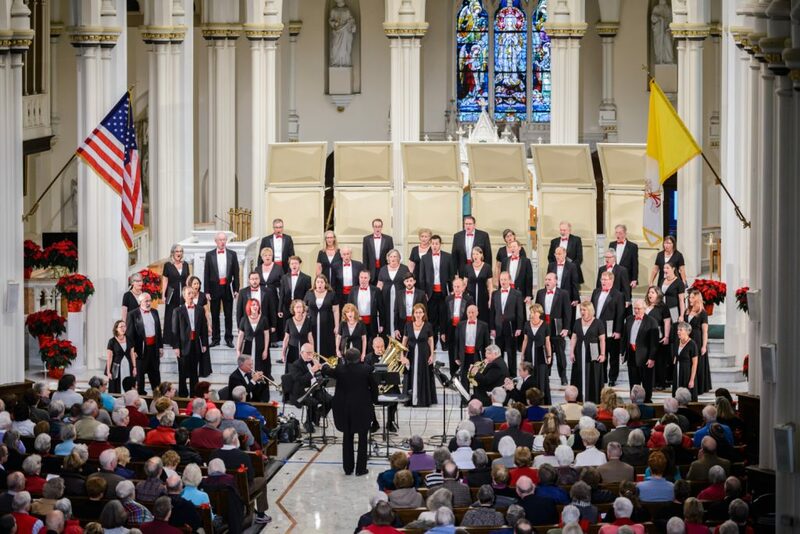 Auditions for ChoralArt Singers for the 2019 – 2020 Season will be held August 26. Singers new to ChoralArt are invited to audition for membership in the Singers ensemble. Make an appointment for an audition by contacting the ChoralArt manager, Gail Knowles, at manager@choralart.org. 3. Sing selected excerpts from Britten Rejoice in the Lamb (pp. 4-6 with piano accompaniment) and Festival Te Deum (mm. 1-30, a cappella). PDFs are available below. 4. Hear a melodic pattern of 4 – 6 notes, and sing it back. 5. Sing, as instructed, either the top, middle or bottom pitch of a triad that is played on piano. 6. Sight-read a tonal melody. ChoralArt Singers is a mixed chorus of about 50 singers that sings Christmas at the Cathedral annually in December (four performances) and often a second concert in the spring (recently Poulenc’s Dialogues of the Carmelites with the Portland Symphony Orchestra, Jenkins’ The Armed Man with Portland Ballet, and Bach Cantata No. 4 under the aegis of the Friends of the Kotzschmar Organ). The ensemble also forms the nucleus of the ChoralArt Masterworks, which has sung annually with the PSO for the past three decades. Rehearsals are usually held at the Allen Avenue Unitarian Universalist Church, 524 Allen Avenue, Portland, on Monday from 7:30 to 9:30 P.M. A typical season begins after Labor Day and runs through Memorial Day. A rehearsal schedule is published well in advance. A singer is expected to make a commitment to all concerts in the season. Absences for extenuating circumstances—your illness, an emergency in your family, or unanticipated job obligations—are completely understandable. An occasional absence from a concert because of travel with family is also OK. Absences for other reasons are viewed less kindly. Members may ask for an exception to the policy, which will be reviewed by the attendance committee. Consistency of attendance will be a factor considered at the time of the next reaudition. December 23, 2019, 7:00 P.M.